UPDATE: No medal for nonfiction was awarded in 2018. 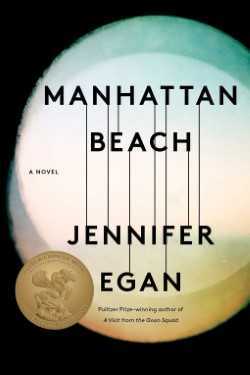 The American Library Association (ALA) announced “Manhattan Beach,” by Jennifer Egan, published by Scribner, as the winner of the 2018 Andrew Carnegie Medal for Excellence in Fiction. The selection was announced RUSA’s Book and Media Awards Ceremony sponsored by NoveList, during the ALA Midwinter Meeting & Exhibits in Denver. The awards, established in 2012, serve as a guide to help adults select quality reading material. They are the first single-book awards for adult books given by the American Library Association and reflect the expert judgment and insight of library professionals and booksellers who work closely with adult readers. “Manhattan Beach,” is an insightful and propulsive saga that portrays complex and intriguing individuals navigating the rising tides of war. 2018 nonfiction finalists include “The Doomsday Machine: Confessions of a Nuclear War Planner,” by Daniel Ellsberg, published by Bloomsbury; and “Killers of the Flower Moon: The Osage Murders and the Birth of the FBI,” by David Grann, published by Doubleday. The 2018 fiction finalists include “Lincoln in the Bardo,” by George Saunders, published by Random House; and “Sing, Unburied, Sing,” by Jesmyn Ward, published by Scribner. Carnegie Medal winners will each receive $5,000. All the finalists will be honored during a celebratory event at ALA’s 2018 Annual Conference in New Orleans. The Medals are made possible, in part, by a grant from Carnegie Corporation of New York in recognition of Andrew Carnegie’s deep belief in the power of books and learning to change the world and are co-sponsored by ALA’s Booklist and the Reference and User Services Association (RUSA). Annotations and more information on the awards can be found at http://www.ala.org/carnegieadult. Also, book cover artwork is available for download at http://tinyurl.com/CarnegieMedalsArtwork. One Response to "“Manhattan Beach,” receives 2018 Andrew Carnegie Medal for Excellence in Fiction"